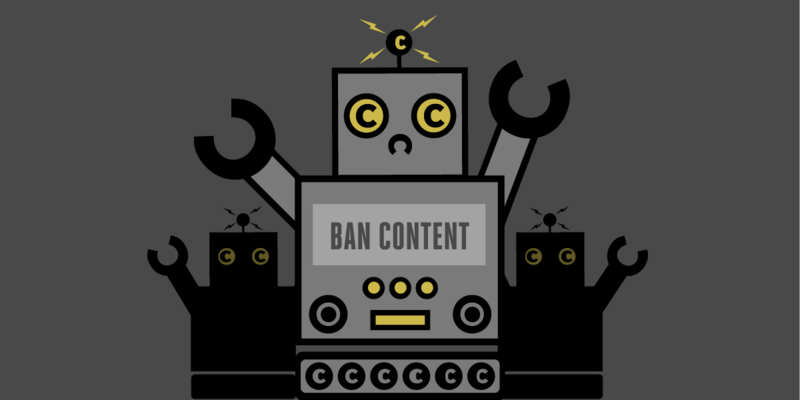 Against all the odds, but with the support of nearly a million Europeans, MEPs voted earlier this month to reject the EU's proposed copyright reform—including controversial proposals to create a new "snippet" right for news publishers, and mandatory copyright filters for sites that published user uploaded content. The change was testimony to how powerful and fast-moving Net activists can be. Four weeks ago, few knew that these crazy provisions were even being considered. By the June 20th vote, Internet experts were weighing in, and wider conversations were starting on sites like Reddit. The result was a vote on July 5th of all MEPS, which ended in a 318 against 278 victory in favour of withdrawing the Parliament's support for the languages. Now all MEPs will have a chance in September to submit new amendments and vote on a final text—or reject the directive entirely. While re-opening the text was a surprising set-back for Article 13 and 11, the battle isn't over: the language to be discussed on in September will be based on the original proposal by the European Commission, from two years ago—which included the first versions of the copyright filters, and snippet rights. German MEP Axel Voss's controversial modifications will also be included in the debate, and there may well be a flood of other proposals, good and bad, from the rest of the European Parliament. There's still sizeable support for the original text: Article 11 and 13's loudest proponents, led by Voss, persuaded many MEPs to support them by arguing that these new powers would restore the balance between American tech giants and Europe's newspaper and creative industries—or "close the value gap", as their arguments have it. But using mandatory algorithmic censors and new intellectual property rights to restore balance is like Darth Vader bringing balance to the Force: the fight may involve a handful of brawling big players, but it's everybody else who would have to deal with the painful consequences. That's why it remains so vital for MEPs to hear voices that represent the wider public interest. Librarians, academics, and redditors, everyone from small Internet businesses and celebrity Youtubers, spoke up in a way that was impossible for the Parliament to ignore. The same Net-savvy MEPs and activists that wrote and fought for the GDPR put their names to challenge the idea that these laws would rein back American tech companies. Wikipedians stood up and were counted: seven independent, European-language encyclopedias consensed to shut down on the day of the vote. European alternatives to Google, Facebook and Twitter argued that this would set back their cause. And European artists spoke up that the EU shouldn't be setting up censorship and ridiculous link rights in their name. To make sure the right amendments pass in September, we need to keep that conversation going. Read on to find out what you can do, and who you should be speaking to. Who Spoke Up In The European Parliament? As we noted last week, the decision to challenge the JURI committee's language on Article 13 and 11 last week was not automatic -- a minimum of 78 MEPs needed to petition for it to be put to the vote. Here's the list of those MEPs who actively stepped forward to stop the bill. Also heavily involved was Julia Reda, the Pirate Party MEP who worked so hard on making the rest of the proposed directive so positive for copyright reform, and then re-dedicated herself to stopping the worst excesses of the JURI language, and Marietje Schaake, the Parliament's foremost advocate for human rights online. These are the core of the opposition to Article 13 and 11. A look at that list, and the final list of votes on July 5th, shows that the proposals have opponents in every corner of Europe's political map. It also shows that every MEP who voted for Article 13 and 11, has someone close to them politically who knows why it's wrong. In the next few weeks, those deep in the minutiae of the Copyright directive will be crafting amendments for MEPs to vote on in September. The tentative schedule is that the amendments are accepted until Wednesday September 5th, with a vote at 12:00 Central European Time on Wednesday September 12th. The European Parliament has a fine tradition of producing a rich supply of amendments (the GDPR had thousands). We'll need to coalesce support around a few key fixes that will keep the directive free of censorship filters and snippet rights language, and replace them with something less harmful to the wider Net. While we wait for those amendments to appear, the next step is to keep the pressure on MEPs to remember what's at stake—no mandatory copyright filters, and no new ancillary rights on snippets of text. In particular, if you talk to your MEP, it's important to convey how you feel these proposals will affect you. MEPs are hearing from giant tech and media companies. But they are only just beginning to hear from a broader camp: the people of the Internet.